In high school two of my good friends used to make a carrot whenever they got together, sometimes weekly. 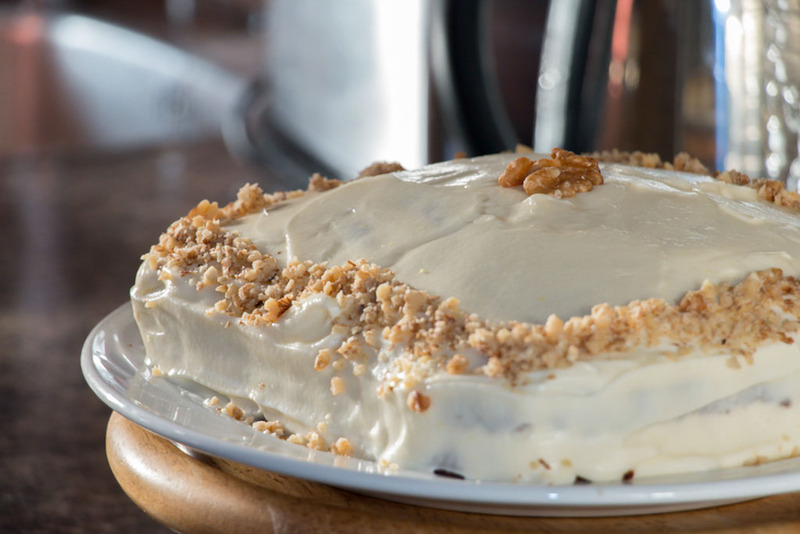 They even once made a carrot cake at one’s family house, then walked up the hill to the others’ and made another one there. 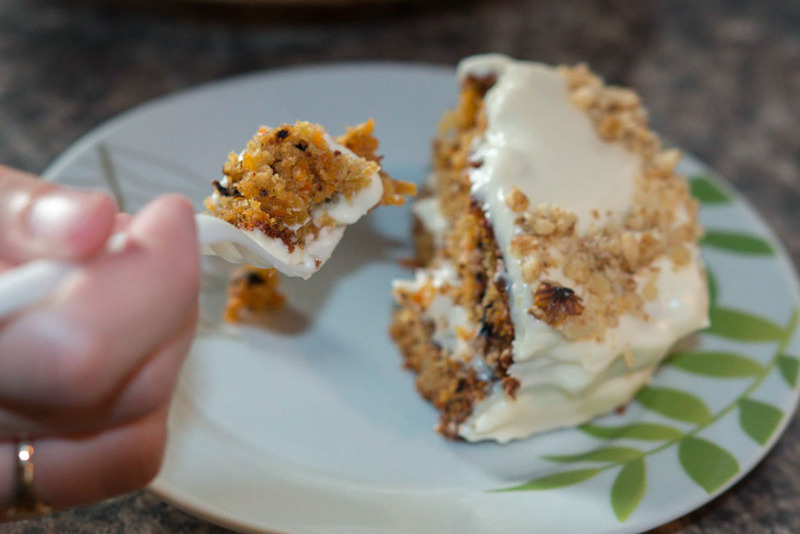 For them, a carrot cake meant cream cheese icing. Lots and lots of cream cheese icing! 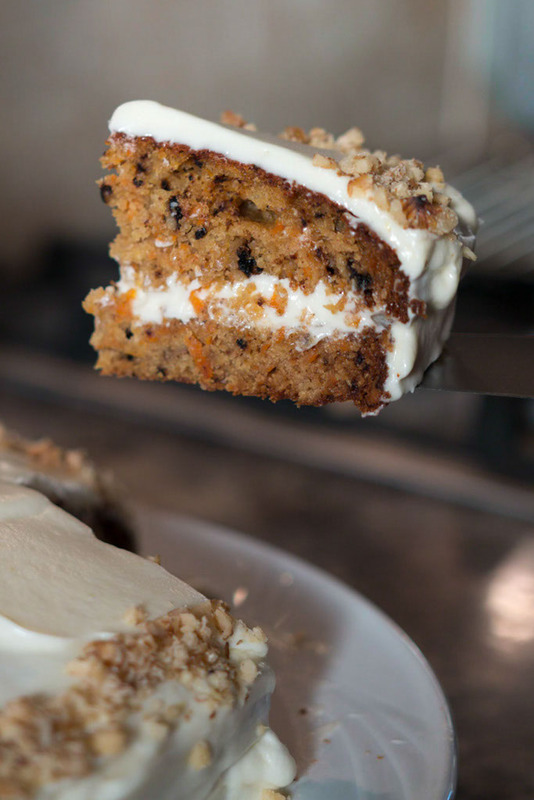 Because that’s what a carrot cake is all about right? A thick layer of glossy, fresh, lemony icing. Yum! I often wonder who came up with this recipe. Who had the idea of putting vegetables in a cake? Because it is a good one. 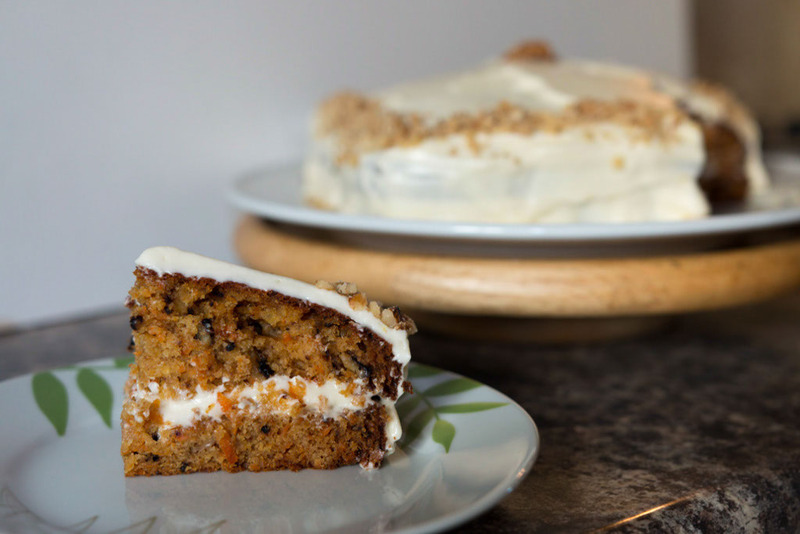 The carrots offer a subtle flavour to the cake and keep the texture light and moist and not as cloying as cakes with more refined ingredients can be. I was so impressed by the Edmonds recipe, it turned out really great, exactly as a carrot cake should be. I wish I hadn’t avoided it so long. 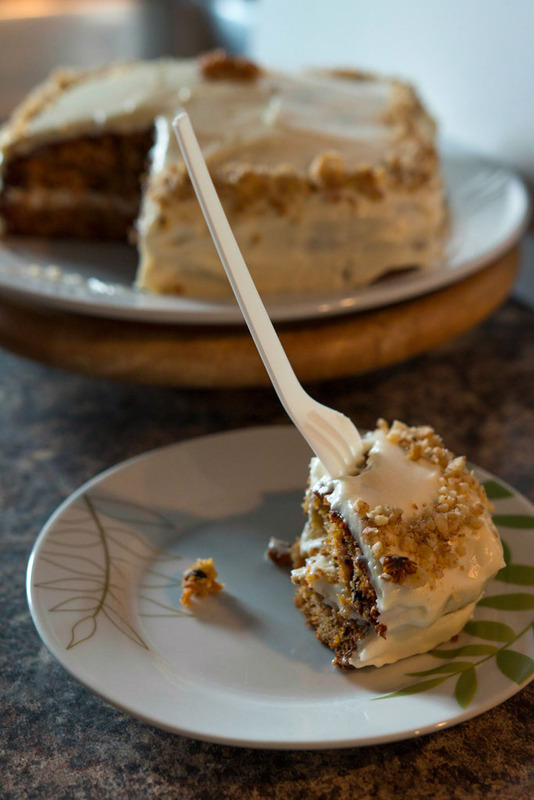 I think when I was younger I dismissed carrot cakes as I thought there was no way that the batter of this cake would taste good. The batter was a key consideration for me in my younger baking, I loved licking the bowl, I think it was one of my main motivations for baking, second only to eating the product of course. So a mix without creamed butter and sugar? That was totally out of the question. Nowadays it’s not only carrots in cakes. You hear about all number of healthy vegetables being corrupted by surroundings of sugary, fatty cake batter. I think my next attempt will be pumpkin, once I get over making carrot cakes that is. Are these photos tempting you to try it? Go on… do it. And then invite me over so I can enjoy all the cream cheese icing with you. This entry was posted in The Edmonds Challenge and tagged baking firsts, carrot cake, NZ baking, The Edmonds Cookbook by andieinspired. Bookmark the permalink.